I’m sorry to break this to you guys, but this post marks the end of the Wednesday Evening series. We’ve been to San Francisco, Napa, Sacramento, Boston, Cambridge, Birmingham, Montgomery, Chicago and more—inside the homes of 12 different families. It’s interesting to see how the series has evolved since Monday Mornings. Even though I am only interviewing the moms, Wednesday Evenings seemed much more about how the entire family worked together as a whole. I wanted to thank Allstate for being such a great partner and letting these stories continue to live and breathe on their own. Without Allstate, I never would have been able to fly Raquel across the country to document the comforting similarities that unite us as parents and the amazing differences which make us unique. If you would like the Wednesday Evening series to continue, PLEASE leave a comment under this post explaining why. Your feedback is what drives this entire series and will go a long way in determining if it is a worthy program to continue next year. Your comments not only mean a lot to me and Allstate, they mean the world to the families who participated. With that in mind, I asked each featured mother to share her favorite picture and her response to the feedback she got from my readers. While 95% of the comments were supportive, there were a few negative responses that squeezed their way in there, and you’ll see that reflected in their answers as well. What was your favorite photo? I have two favorites: the one of me and the girls lying on the kitchen floor playing. The picture will be a reminder of this amazing time in their lives when they WANTED to play with me! The other one I LOVE is of me, my mom and Dave talking at dinner. Dave had just started a new job, I was working harder at my job than I had in the past 4 years, the girls were transitioning from school to camp, responsibilities were shifting from our beloved nanny Gladys to my mom…things were not easy in our house. BUT my mom was an incredible rock for us. She picked up SO MUCH SLACK. I love this picture because it shows how, thanks to my mom, we were able to make time to have an adult dinner with real conversation. Her time with us this summer was such a gift. How did you feel about the response to your post? It was nice to get support and a bunch of, “me, too!” from women who, like me, are doing their very best in these early years of familyhood. I felt lucky that anything about our family life could potentially help anyone else feel less judged or crazy. A few people thought I was hard on my husband. I thought that was interesting and it caused us to reflect a lot about the experience. His reaction was not that I made him look bad, but rather that the pictures reflected our reality and maybe he could be doing more to help. “I guess sometimes the truth hurts,” is what he told me. It was kind of awesome, actually, because we got to talk about what we needed to shift in the evenings so I could get more of a break. At the same time, I was saddened by the commenters who wanted to remind me that eating together as a family is best. We really are doing our best as parents and partners. We make conscious choices about how we spend our time and it bummed me out that people felt the need to scold me on my parenting decisions. Anything you would like to add about the experience? I was so impressed with my girls. I didn’t know if they would cooperate but they were lovely, hilarious and so welcoming to Raquel. My husband was a sport for agreeing to do it. Our evenings are our precious time and I’m grateful that he indulged my desire to see our family through someone else’s eyes. Read Marcy’s full evening here. What was your favorite photo and why? My favorite photo is the one where I am holding Olivia and she’s leaning in to give Simon a kiss. It shows so much love between my daughter and her daddy. Those two are as thick as thieves! I was moved by how many people were so positive about the post, especially in this day and age when there seems to be so much negativity. It was nice to be surrounded by positivity, especially over a digital medium where it seems people find it so easy to be cruel. Read Stephanie’s full evening here. It’s so hard to pick just one! The one that most sums up our everyday is the one where I am trying to give him a bite at dinner and he’s blocking it and looking up at me. You can see his mischievous little smile. The response was so positive! I’m under so much stress to keep all the balls in the air it was nice to have cheerleaders that I didn’t even know. I’ve also had a hard time losing my baby weight so I was worried about the pictures but there were positive comments about my outfit which made me feel so much better. I cherish these pictures so much. They are a daily reminder to see the beauty in the everyday. Because we moved shortly after, it is also a neat snapshot of how our lives were before this big change. Read Amy’s full evening here. My favorite photo is the one where the boys are playing in their room and Mateo is mid-leap. Even though they are doing something they aren’t supposed to be doing, it is probably the most accurate depiction of our time together. I never thought the Superman prayer would be such a big hit! It also just helps knowing that there are other moms out there doing their best and trying to hold it all together no matter what their circumstances (single, married, working or at home). I am just incredibly grateful for this snapshot of our lives. The last few years have been such a crazy time that it’s hard to remember the little moments. This is such a great reminder that the daily chaos might actually be creating happy childhood memories! Easy to lose that perspective when you are just trying to “get through” the day. I cannot tell you how comforting it is to see the boys’ smiles after all that happened with their dad. Whenever I need a boost or a reminder that “the kids are alright” – I scroll through the photos. I’m a good mom! It’s good to remember that when I feel inadequate or worried. Read Jessica’s full evening here. My favorite photo was the one of Tom and Linus on the couch—they just both look so happy! We really enjoyed the response to the post. It was great to have people from our town respond! Also, since we live so far away from so many of our good friends, it was wonderful to give them the opportunity to see our daily life. Read Elizabeth’s full evening here. My favorite photo is the one of us sitting in the bed and the boys are rough housing with Jorge. On Saturdays, the kids have this game where they come in our bed and snuggle and then they yell “get daddy off the bed!” and all try to push him out. Right now it’s a struggle. But one day, they will straight up own him. It was very sweet. I always get nervous though, when I hear people say “oh this family is doing it right” because I don’t want anyone to think we are doing it all correctly. I cleaned up before the photo shoot. And you can’t hear my vocal range when talking to my kids in the pictures. Let’s do a shoot where you sit in a minivan with me and four kids for the 20 minutes it takes us to get to basketball practice. That’s real life! Anything you would like to add about the experience in general? It’s great to highlight routines. It reminds me that we all have, what seems like “mundane” weeknights. But seeing them through someone else’s perspective helps us see the bigger picture. You realize those mundane evenings are what’s shaping our families. Read Rachel’s full evening here. My favorite photo was definitely the one of Elijah after his bath, with the towel on his head. That boy is such a joy! I loved so many of the photos. They really captured my family in ways I didn’t expect. Each time I go back I appreciate different details. Raquel really did a wonderful job and I am grateful. I was really nervous about the response! I expected more negative comments and was really pleased by how positive they were, almost exclusively (of what I saw at least!). I was pleasantly surprised by how many people were appreciative that a queer family was included. And I was touched by the number of people who mentioned that they really felt they could relate to us. We’ve even had a few people we don’t know come up to us and mention that they saw the post! I did have some qualms about how positive it all turned out. It was all real but understandably it left out many of the struggles we face. Like every family, we have challenges, daily and ongoing, but those don’t show up so much in the photographs. Our lives are complex and beautiful and the struggles only make the joy shine brighter. Read Melissa’s full evening here. My favorite photo is the one where we’re all in bed reading together because reading together is my favorite family activity. And I love the look of love on George’s face. I was so pleasantly surprised and got warm fuzzies from the responses. It was so sweet to hear people say we were fun and happy, and the best was “patient.” No one has ever called me patient before! It was really gratifying to see our lives from an outside perspective, and a nice reminder how lucky we are. I’m so grateful to have these photos and the post as a snapshot of what our lives were like during this one crazy period of time. Read Natasha’s full evening here. I have at least 5 favorites! My top two are of the kids. My first is the one of Charlotte holding “If You Give a Mouse a Cookie.” The expression on her face is one of my favorites. I can imagine the giggles and squeals that come with that face! It is pure Charlie! My other favorite picture is of Isabel and Mason sitting on the couch. Isabel loves Mason so much and wants to be a great, helpful big sister, but his facial expression is priceless. I was excited and a bit nervous to see the comments from other readers. But, some (actually, most) of the comments brought me to tears. All the responses were touching and uplifting. It’s a great feeling to have other parents let you know that you aren’t alone. To know that people relate to me and think I am doing a great job is amazing. Sometimes, you just need a little outside reassurance! Thank you to everyone who left comments! Read Kirsten’s full evening here. I think my favorite picture is Otis giving Odie good night “nosies” (they do nosies instead of kisses). I rarely see their nightly “nosies” because I’m putting books or toothbrushes away or whatever, so it was cute to see that. The picture of Odie eating dinner on my lap is another favorite because I secretly love that he always wants to sit in my lap. I cherish it because I know it won’t last forever. I enjoyed reading everyone’s comments about how Otis and I are a good team. My brother lives in Australia with his wife and after he read it, he emailed and said “Did you read the comments?! Wow!” I felt the same way. Wow! Thanks to all the readers and commenters! Also there was someone who commented on IG that we went to high school together, so that’s crazy! Our high school had 2400 kids, so I don’t think I know her but maybe she knows my husband! He was hard to miss in high school. Read Allison’s full evening here. I loved the responses. People were so supportive of our family and my husband for being a stay-at-home dad. Since my husband is a member of various dad groups on Facebook, the post got shared a lot among the at-home dad community and I loved that Ariel got some love. It’s just great to see such positivity and not a single derogatory comment. We absolutely loved the experience. Raquel was wonderful to work with and seeing these pictures really does bring beauty to the everyday. The post just shows our family doing our thing. It’s what I want to remember 15 years from now when my kids are all grown up and I miss the everyday stuff. Read Shira’s full evening here. My favorite is the one where Meredith is laying on Tom while he’s putting her to bed. Most nights, we’re both home for bedtime and use a divide-and-conquer strategy. Tom reads and sings to Meredith while I’m nursing Conor to sleep. Since that is their special time together while I’m off in another room, it’s something I never get to see. I also thought it was funny how our cat photo-bombed so many of the pics! I had hoped that the message of seeing parenting as teamwork would come through in our post, and really enjoyed hearing from others who see shades of their own families in ours. To us, equality in parenting is finding the right balance in managing the tasks demanding each of our time. I was a little taken aback by negative comments concerning our family roles. Feminism, to me, is making sure my daughter is able to choose her life roles from the full breadth of options. Pushing women too far away from traditional roles is just as detrimental as pushing them into traditional roles, as sacrificing one for the other still limits their scope of possibility. I wish that parents could take a more inclusive and supportive approach to how we view one another. For the record, on nights when I’m on my own, I usually simplify their bedtime by skipping baths too! I know there were a couple negative comments under your post, but did you happen to see the comments on Instagram? Wow! Tons of positive comments there! I’m not on Instagram (one of those things I “keep meaning to do…”) so I missed all that. I really like how this has sparked conversation about going back to school. So great to see we’re not alone in this and there are tons of other families doing the same thing. We all go about our days, rushing from work to home and juggling so much, that I think it’s easy to feel secluded in this parenting thing. What has been so interesting is the response from those I know in real life who have taken this opportunity to share the ways in which their lives are similar or something about their own challenges. This has opened the door to commiserating in a way we wouldn’t have done otherwise. What is so important about this series is the opportunity to see shades of ourselves in others and to use that as a conversation starter to support one another. Read Laura’s full evening here. Thank you to all the lovely families that participated and to everyone reading for being part of such a wonderfully positive community (most of the time). Please remember to comment below if you would like Wednesday Evenings to continue next year! This post is part of the “Wednesday Evenings” series sponsored by Allstate. From bath time to bed time, every family has a special evening routine. This series aims to show the beauty in the day winding down. As the nation’s largest publicly held insurance company, Allstate is dedicated not only to protecting what matters most—but to guiding families to live the Good Life, every day. I’ve really loved both this and the Monday morning series. They’ve been a great way to recognize how important the everyday moments are, and it’s comforting to know that a lot of folks go through the same ups and downs and are grappling with the same questions of balance. I am one of your (likely many) readers that doesn’t have kids (yet) and I adored this series. Knowing we will start a family in a few years I feel that I’m constantly collecting data on how other families manage dynamics of working/childcare and family time and loved seeing the diverse examples of real families in this series. I found this series to be incredibly moving and powerful. It was so encouraging to see how other families work through the struggle of juggling it all, and to hear all the different stories from families around the country. It was one of my favorite parts of the week! Please continue in the future! I loved the series – both of them! I think they allow us to recognize the similarities in each other and grow as a community in a way a lot of other medium doesn’t. Strengthening our community helps us develop compassion and empathy for each other – and that compassion and empathy leads to little small acts of kindness that can eventually turn into something that has the power to completely change a community for the better. We need more of this. This series shows me (as a consumer) that Allstate recognizes core values as important – and shows me that they’re willing to support that. That makes me want to support them – so to me, it’s a HUGE win-win!!! I have really enjoyed reading this series. It is so nice to get a glimpse into other families worlds and see that no mater what color, socioeconomic status, gender roles, marital dynamics, etc, we are all trying our best to raise loving, happy children. If possible, it would be great if this series could continue/return. I love all these photo series and was so thrilled to be one of the participants in the Wednesday Evening series. I’d love to see more of these — it’s important to show how families of all different types experience the everyday stuff. These posts remind me of Humans of New York in that they give outsiders a view into individual lives. And like HONY I find myself becoming more open-minded, understanding, and patient to other people. We all are just doing our best. It is so so important to remember when a family brings a screaming child on an airplane (or a screaming child anywhere really). I would love to see this series continue if, for no other reason, than to continue to have such positivity on the internet. Look at all of these beautiful women who were so grateful to see the positive feedback on their individual posts- let’s keep that alive! I loved the series and would love for it to continue! I love seeing how other families operate and most of the time it made me feel good about how we do things each night (one cooks, one cleans, one bathes, etc) but the laughter and playing is a common thread too that we both try to do in those final hours before bedtime. I love that each family has their repetitive routine each night but that’s how family memories and traditions are born and what our kids will remember as they get older too. I also appreciate that with all the mommy/parenting blogs out there, this series felt more “real” than a lot of the other blogs that like to depict their home lives as more picture perfect. Their homes weren’t staged, the kids weren’t perfectly dressed…it just felt more relatable. I would love to see this series continue. I always click on it immediately when I see a new post. It’s fascinating to me to see how other families go about their days! I love this series! I really hope it continues and can think of many more themes you could focus on – special needs families, military families, immigrants, etc. It really helps to see that even though families are composed differently, live in different parts of the country, and have different backgrounds- we all are just doing the best we can to be parents and raise happy, loving children. I hope Allstate continues this series! I’ve been reading your blog since Harlow was born and the Monday morning/Wednesday evening series has been one of my favorite things you’ve done (and I’m a daily reader). Please keep at it – it is lovely to see families in their own environment, away from the beautifully staged photo for the holiday card. I also appreciate your efforts to find a diverse group of families to feature. This series doesn’t necessarily have the “sexiest” theme, but the idea that we’re all doing the best we can, and our family moments are important (whatever form they take) are great messages. These photo series have been my favorite posts on your blog. Laura from Chicago’s story happened to pop up the same week my husband took the first step toward going back to school for his doctorate, so I especially loved the peek into her life. Thank you for highlighting the every moments that make up so much of the parenting journey. I sure hope Allstate will sponsor another set of these. I loved the series, and I’d love to see it continue! I love seeing the wide range of creative ways each family has found to achieve the same goal: get the kids fed and into bed. I would love to see more ordinary families. It makes my life feel a little more ordinary. I absolutely loved this series and looked forward to the new posts every Wednesday. I loved the diversity that was reflected in each family. While each family was different, I was still able to see similarities with each and with my own family. Each family had their own challenges to overcome and deal with but it was so obvious how much love there is for the children. This series was truly inspiring and I hope it will be continued. Thank you to all of the families for opening up your lives to us readers! You are amazing! I love the series! It is great seeing other families and how we all are really just trying to make it. I hope it continues! I really enjoyed this series. One of my favorite parts was reading the comments and seeing so much support for these families. My kids are all grown, but reading this every week made me remember the challenges and joys of those crazy evenings. I’d do it all again in a heartbeat! Yes, keep doing these! I think and hope that these posts unite families from all over the world, instead of pitting us against one another. Keep it up! I love, love, love this series. I enjoyed the snapshot of each family, and we got to see an intimate picture of life of many kinds of families. I loved the peek into their lives! It was also a reminder to me to look for beauty in my own everyday tasks. When I took my preschooler to the park, I glanced at another mom and child getting a drink from the water fountain. I saw both of their wonderful smiles as they got splashed as the little one struggled with the water. This blog series made me want to snap a picture for that mom, so she could see how happy they looked! But then I didn’t want to be the creeper taking a picture of her family. Ha! I hope to see more of these posts! I love this series and I think it may have been the original way I came across your blog a few years ago. Not only do I find the families interesting, but I love how it shows a slice of life in present-day America. I’ve always thought these could be combined into a book (sort of like what has happened with HONY). I think 50 or 100 years from now, these would be really interesting for others to read about how families lived in 2015. I think seeing the families really just brings us all together and is a positive thing, which we reallllly need these days! I enjoy this series so much and would love for it to continue. As moms, we go about our days and just hope and pray we are doing the best for our kids, but not really knowing if we are or not. Reading about other families and seeing they face they same struggles, as well as face the same joys, is very encouraging. It’s nice to know we aren’t alone in this. Absolutely loved this, and the Monday mornings, series. Not only did it show the beauty within the chaos, but each week it made me look at my own Wednesday evening. Hopefully it can continue next year!! Please keep this going! I think it’s a nice weekly reminder that your family is just as chaotic and normal as everyone else is! I love these Allstate series – they are my favorite part of your blog and when one is underway I look forward to the next post all week. They make me think about how my own Monday morning or Wednesday night might look in photographs and that makes me appreciate my kids and spouse and our life together even more. Please, please, please keep these up! Please keep this series going! I’m not married yet, and don’t have children, but I hope to within the next 2 years. Sometimes I wonder how my life will change with a family and children and this is a wonderful way for me to see what kind of possibilities are out there (and also tips and tricks to make it work). I am amazed that there are all these different families that have found their own special way to provide a safe and loving environment for their children, and I want more! If only this series could expand out if USA (like coming to Malaysia, maybe? Haha). The success of this series just goes to show how much we need each other on this journey through parenthood. I was hooked on this series, and when I read today that the series was over (for now), my heart sank. I looked forward to connecting, even in a passive way, with other families with young kids. It was interesting to see how other families managed their time, but I also really enjoyed sharing in the joyful moments, which are the most fun and rewarding parts of parenthood! I would love to see families on the weekends, too, when many families get to spend much more quality time together than they do on a busy weekday. Thanks to Ilana and Allstate for this series And an extra thanks to the brave families who put their private lives out there for complete strangers to see! This series is my favorite of all of the content on your site! I would be so sad to see it go. You mentioned on fb that this series has become your favorite part of your blog. It is my favorite, too! I really hope it cintinues. I love this series and seeing all the different ways families work in the evening! It has reminded me to enjoy the simple things and small moments that happen everyday. This series, and the Monday Mornings, have enhanced my appreciation for life without frills and I would love to see more! This and the Monday morning series very quickly became a favorite little mini break once a week to stop and read. these posts help me to recognize things like every night before bed my sons like to run down the hallway into daddy’s arms, after he brushes his teeth, for kisses and to be carried to his bed. This series reminded me constantly to notice the little things in my daily routines. Please continue this if you can. I, too, love this series! I hope Allstate knows how much your readers appreciate their sponsorship. Our family doesn’t have a lot of friends with young children, so we don’t get as many suggestions for ways to deal with many of the daily challenges raising children. This series allowed me to watch how other families fill their evenings with love and fun, while still accomplishing the necessities. I learned something from every single family that you photographed. It gave me an appreciation for how different every family is, and how amazing they all are. I loved this series so much and was sad to see it end. It was so nice as a fellow parent to see other parents sharing their everyday lives in not so perfect homes in not so perfectly coordinated outfits. I loved that it showed the hardships of working moms trying to juggle it all. It gave me sense of community. It’s rare when I 1) read a whole blog post 2) look forward to the weekly series and 3) share it each week as well on social media. I have done that with the Monday’s and Wednesday’s series. I would easily do that with whatever series is next. It’s real. It’s relatable. It makes me feel normal. It makes me appreciate those favorite moments in our chaotic every days that each story points out. Thanks for this. As a SAHM cwho watches way too much HGTV, it’s so normalizing and comforting to see these posts. Keep it going! Come to my house! I LOVE this series! I love to get a behind the scene look at how other parents pull it off! Parenting is a tough job and as soon as we think we figure it out, that stage has passed and its time to learn how to do it again. This blog gives me ideas and makes parenting feel less lonely. I also really hoped to be picked to participate some day because its hard to get pictures with me in them. But I want my child to look back someday and know I was there! We have such a special time together as a family in the evenings when we all get home, so I’d love to have that captured on film! As a regular reader from Switzerland I would love this to continue. It is amazing to see that even in far away America, we face similar challenges. But also to me it is encouraging to see many full-time working moms since here working more than 60% is pretty often sneered at (which makes it difficult if you’re having one of these days where you feel guilty about not being around enough…). So it also makes me think a lot about cultural differences in how we raise our kids, very inspiring. Thank you!!! I loved this series and am so sad to see it go. It’s actually what led me to your blog in the first place. As I’m navigating bedtime with a new baby and a toddler it was so nice to see other families going through the same thing. Thank you! I look forward to this series every Wednesday. It is definitely one of my favorite things to read on your blog. It really allows us to connect to families and their daily routines. And although the families are all comprised of different cultures, backgrounds, etc. you can still see the love they have for their children and for each other. I hope that you continue with this series and continue to shed light on the amazing families all across the nation. I love this series and how many different types of families it shows. It’s just a reminder that we all have the same goals as we parent. Plus, I could relate to a lot of the families in different ways – we’ve done parenting as my husband goes back to school, as we live with family to save money for a house, as we move internationally, etc, and it’s great to see that other people have the same experiences, especially since blogs can sometimes feel a bit like you just these amazing, perfect families, that in no way reflect my own life. I have so much to say right now! First of all, I may have forgotten how much I cried on each of these posts, but this one has made it happen all over again. I think I commented on every post but I never realized how important the comments could be. So, I love how much the comments meant to these families. This might be my favorite post of the series because of that. Being able to see the response after they had time to take it all in is super special. This post summarizes all the good things the experience brought – to the families and to the readers! I am very excited to see what Mommy Shorts and Allstate will come up with next! I absolutely LOVE this series, and I loved Rachel’s comment: “those mundane evenings are what’s shaping our families.” It’s so true, and it’s why this series is so special. I absolutely adored this series as well as Monday Mornings. The high point of my day is when a new Mommy Shorts shows up ~ probably because my daughter is now 23 and this blog brings back so many happy memories of when our small family was so young! I live in Northbrook, IL – – headquarters of Allstate, and have always been a fan of them as well. PS – This is also my first comment although I have been a faithful reader for years! I’m a mummy in the UK. I have loved reading Wednesday evenings. It’s helped me to realise that no matter where in the world there are parents everywhere who like myself are doing the best for their families. They’re all doubting themselves, splitting childcare, chores, being ships that pass in the night and trying to stay a float. I loved that we have all missed those little moments. It’s the day to day we need to remember and cherish not just the big events. LOVED this series! It made me appreciative of our evening routine and pushed me to slow down and enjoy the small moments with our son. I would love to see this series continue… sometimes seeing all the real in everyone else’s life reminds you that your crazy world isn’t so out of the ordinary. Love this series! I couldn’t wait to get to work on Wednesday mornings so I could pull up the page and see the latest installment. So nice to get a glimpse into the lives of others and see how they are balancing it all. Plus, it also gives me ideas of how to make our family evenings work more smoothly and helps me to realize that it’s the every day moments that matter most. This series and Monday mornings were great!! I loved reading the stories and seeing how other families run their household. As your kids grow, your household operations have to evolve with their needs. I have small kids so, I especially loved seeing folks with slightly older kids. I used the series to gather ideas for my future. Please continue the series or some new iteration of it next year! If nit, thank you anyway. This was a very cool look into the world outside of my little circle. This is simply a continuation of the first great series -why should parents be deprived of a third , and future, edition? Parenting is hard, we need all the reinforcement we can get!! It was great to get a glimpse into other people lives, seeing lots of similarities and also a chance to see the different ways people do things to get through the day. It is often in our minds more chaotic than it seems. It is nice that the moms were able to re-evaluate what they think of their evenings once they saw the pictures compared to what they thought of it in the moment. 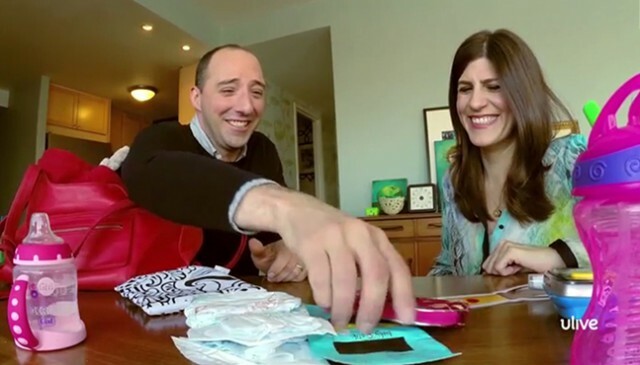 Most parents realized just how much was done by each partner, and how much joy and happiness there truly was in even the smallest of moments. I would love for the series to continue – maybe change up the day every so often so we get a more rounded feel to fellow families. LOVE. LOVE. LOVE. Both series were phenomenal. Yay for positivity and REAL parenting. I like the idea of a weekend series, ooo, what about Friday nights? Or morning/evening commutes – linking car insurance with special moments. Dropping or picking up kids is my least favorite part of the day. I’m either in a rush in the morning or exhausted in the evening. It would be nice to see what that really looks like and what kind of special moments we have during those commutes with our babies. Wouldn’t that be fun? Absolutely love this series and hope it can continue. It’s so interesting to get glimpses into people’s lives! We are all so different, but have so much in common too and it’s really a beautiful way to capture this. I am so sad this is already over. It went by way to fast this yr!! I hope that this is something that will continue!! I have laughed, cried, smiled, through every single one!! Cant wait for next yrs!! I loved this series–it’s the reason I started reading your blog, and I would love for it to continue. I’m about to have a baby, and it was so inspiring to see so much joy and awesomeness in every day routines. I hope the series continues! I think too often many of us get caught up in the routine or just getting through and forget about the beautiful details. I loved reading everyone’s stories, and while our life looks different than most, I usually found something relatable in each story. And the reminder to appreciate this stage in our lives. I love the Wednesday night series. It is really one of my favorite parts of your blog. It is interesting to get a peek into different families lives and see how they go about things and what their different routines are. It really emphasizes that no mater what type of family you are, where you live, how many kids..etc… everyone is just trying to do the same thing, raise safe happy kids and have a happy life! I loved this series. I came upon it about 1/2 way through the 12 posts. I loved seeing everyday life and the “normal” events of these families. Good reminder that we are all doing what needs to be done and for our families that is just right. I’m going to go back and look at the ones I missed.